The creator of the natural skin care line Moon Magic, Liz McQuerry offers here a step-by-step guide for natural cold-process soap crafting. 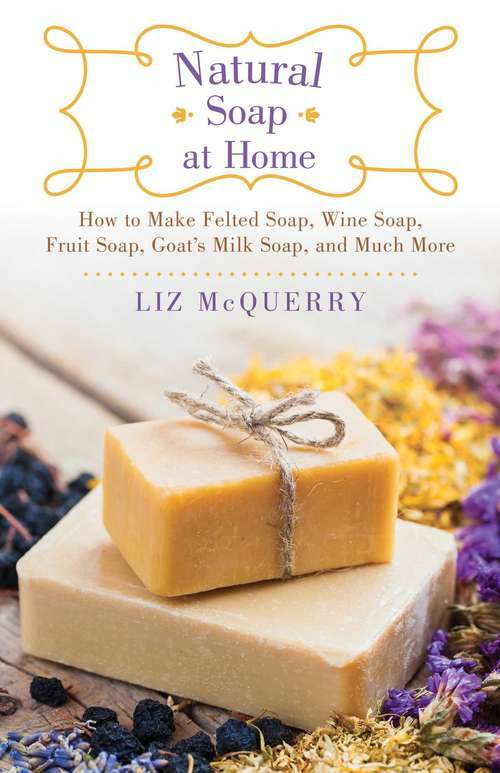 Mostly utilizing kitchen ingredients to create a variety of innovative soap blends—including felted soap, beer soap, and seasonal soaps—McQuerry will put you in touch with your inner alchemist. From body bars to hair care bars, with wonderful tidbits and advice on herbs and essential oil blends, you and your family will enjoy a clean like never before. Here are instructions for:Mermaid Kisses Salty Sea SoapGolden Coconut Milk SoapWine and Rose SoapFelted Soap StonesRefreshing Lemon Solid Shampoo BarsBeard Wash Solid Soap BarsAnd more!After you learn to make your own soap, you’ll also discover how to scent, color, design, troubleshoot, and even sell your soap. McQuerry’s soaps make for attractive and personal bathroom and kitchen décor at home, as well as nifty gifts for just about any occasion.